The aim of the Unified Tertiary Matriculation Examination (UTME) syllabus in Government is to prepare the candidates for the Board’s examination. It is designed to test their achievement of the objectives of the course in Government. Political Socialization, Political Participation, Political Culture. c. The Judiciary–functions, powers, components. Unitary, Federal, Confederal-features, reasons for adoption, merits and demerits. ii. relate each arm to its functions. 5. Systems of Governance: Presidential, Parliamentary and Monarchical. 8. Pri nciples of Democratic Government: Ethics and Accountability in Public Office, Separation of Power/Checks and Balances, Individual and Collective Responsibility, Constitutionalism, Rule of Law. Legislative Enactment–acts, edicts, delegated legislation, decrees. iii. Duties and obligations of citizens. Franchise, Election, Electoral System, Electoral Commission. ii. Political parties–Definition, Organization, functions. d. Comparison of British and French colonial administration. a. Nationalist Movements–meaning, emergence, goals, strategies, nationalist leaders–Herbert Macaulay, Nnamdi Azikiwe, Obafemi Awolowo, Ahmadu Bello and others; emergence of nationalist parties. c. Constitutional development–the Clifford (1922), Richards (1946), Macpherson (1951), Lyttelton (1954) and Independence (1960) Constitutions. 6. Public Commissions Established by the 1979 and Subsequent Constitutions: The Civil Service Commission, the Public Complaints Commission, Electoral Commissions and others–objectives and functions. Political parties, party politics–First, Second, Third and Fourth Republics. d. Problems of Nigerian Federalism–census, revenue allocation, conflicts etc. solutions e.g. Federal character, etc. c. Traditional rulers and local governments. c. impact of military rule–political, e.g creation etc. economic, e.g SAP, etc. b. NEPAD–origin, objectives and implications. Adigwe, F (1985). Essentials of Government for West Africa, Ibadan: University Press Plc. Anifowose, R and Enemuo, F. C (eds)(1999). Elements of Politics, Lagos; Malthouse Press Limited. Appadorai, A. (1978). The Substance of Politics, London: Oxford University Press. Ball, A. R. (1983). Modern Politics and Government, London: macmillan. Ikein, A. A. (1990). The Impact of Oil on a Developing Country, The Case of Nigeria, Ibadan; Evans. George Allen and Unwin. Ojiako, J. O. (1981). Nigeria Yesterday, Today and ? Onitsha: Africana Educational Publishers (Nig.) Ltd.
Olawale, J. B (1987). New Topics on Ordinary Level Government, Ilesha: Jola Publishing. Omolewa, M. (1991). A Certificate History of Nigeria, Ibadan: Longman. Oyediran, O. Nwosu, H., Takaya, B., Anifowoshe, R., Femi, B., Godwill, O. and Adigun, A. (1990). Government for Senior Secondary Schools, Books 1, 2 and 3, Ibadan: Longman. Oyeneye, I., Onyenwenu, M. and Olusunde, B. E. (2000). Round-Up Government for Senior Secondary School Certifcate Examination: A complete Guide, Ibadan: Longman. Oyovbaire, S., Oguna, A. E. C., Amucheazi, E. C., Coker, H. o. and Oshuntuyi, O. (2001). Countdown to Senior Secondary Certifcate Examination: Government, Ibadan: Evans. 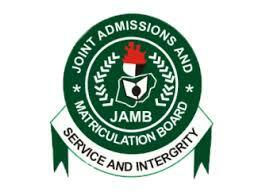 0 Response to "2017/2018 JAMB CBT Likely Government Syllabus Question And Answers from JAMB CBT"